Our guest speaker John Simonett will be delivering an opening keynote speech – and will also be entertaining us after-dinner. John cleverly combines the latest thinking on leadership, psychology, creativity and success. His message is straightforward and compelling: we can all achieve more by being aware of the brain’s hidden logic and the latent assumptions we tend to make about the world we live and work in. John’s keynote examines how our brains work – and sometimes don’t! In a series of fascinating demonstrations he will show how we tend to use a whole set of short cuts to make sense of the world, which can lead to assumptions which prevent us from working at our most efficient. His entertaining mix of humour, audience involvement and key message reinforcement provides a wake-up call to work smarter, think more creatively, and ultimately become better and more productive at whatever job we do. Rosie Murray will be teaching about the human impact of disaster. What can happen? Worst nightmare? What support will they need and for how long? In this interactive session you will learn and discuss recent incidents faced by HEIs including obstacles that were overcome and lessons learned. The session will be led by Dave Waterston at University of Stirling. Led by Ian McKechnie. The arguments for getting business continuity to the top of the agenda are strongly in your favour, but for some reason they’re still not budging. With so many competing demands on resources, getting people to hear the signal through the noise has probably never been tougher. But all that is about to change. In this workshop you will be exploring the art of sales and persuasion – how to make senior people really sit up and take notice. During this informative, interactive and we hope entertaining 45 minute session, you will gain all the instruction you need to put together a winning plan. The takeaway is an imaginative new approach that works when you need to persuade budget holders within different faculties – from teaching to finance – to give priority to business continuity. Led by Patrick Roberts of Cambridge Risk Solutions. In 2008, the Medical Research Council (MRC) carried out an audit of its 26 UK-based Units to assess the effectiveness of the BCM programme which had been running since 2005. The audit found considerable variation in the maturity of BCM across MRC Units, and identified two significant drivers of successful adoption: personal involvement of the Unit Director; and the presence of animal facilities on the site. A follow-up audit conducted in 2011/12 found that this cross-sectional variation between Units has persisted and, if anything, increased. It is argued that these findings are generalizable beyond the MRC and, in particular, are relevant to the implementation of BCM in higher education institutions where often individual departments and schools need to take some responsibility for resilience planning. By Andy Tomkinson, MBCI. The London 2012 Olympics was a unique event, there was an immovable deadline and an organisation that ramped up then faced a cliff edge in Sept 2012. The complexity was immense with interested parties ranging from government to sport, from transportation to construction, from sustainability to the cultural Olympiad all under public scrutiny for funds and the press microscope while facing a credible terrorism threat. That said, there are many transferrable lessons learned which Andy will share to advise and assist any organisation. 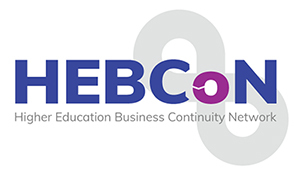 Do not miss this opportunity to put your business continuity questions to our panel of experts! Our panel have been pivotal in overcoming resistance to create an organisational culture that embraces business continuity.